BENCH DESKS OR FREESTANDING DESKS – WHAT IS THE DIFFERENCE? So you would like some new desks. 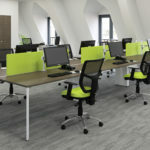 Maybe you are moving into a new office or you are looking to update your existing furniture and maximise space. 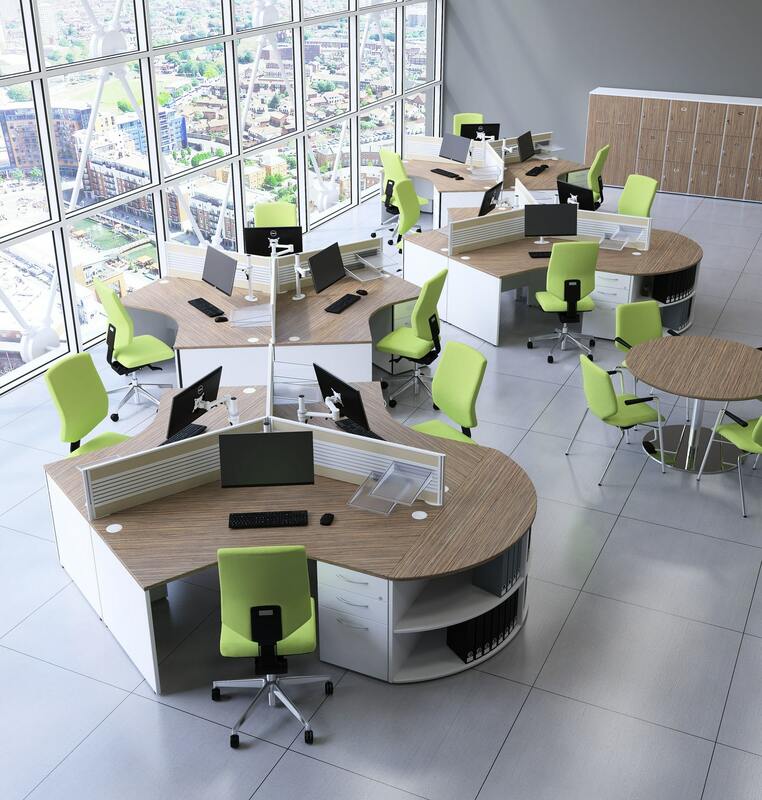 Different desks have different functions and it is important to get the right desk to suit the purpose and the layout of the company. 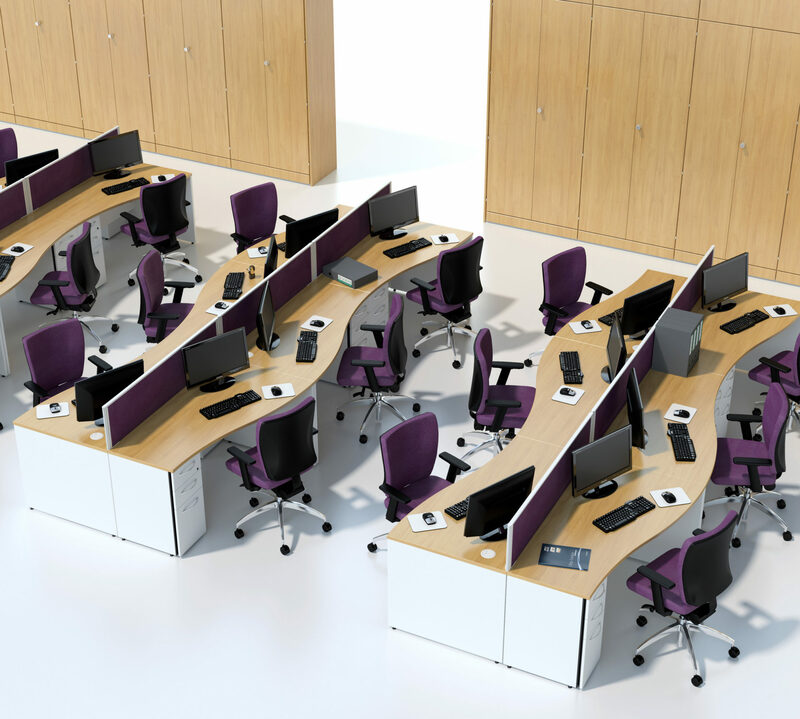 You also want to think about the configuration of the desks, for example many organisations place their desks in “cluster” configurations as it is easier to communicate with one another. Now you need to decide what type of desks you would like…. Bench or Freestanding but what is the difference? What would work best for you? 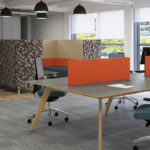 Bench desking is a new trend offices are opting for over the more traditional office layout, but why? Put simply bench desking is when employees sit together at a bench shaped desk. These can be single or double sided. Basically, a bench desk system uses common elements such as legs, beams and cable towers, thus cutting costs. For example, you start with an ‘Initial module’ then you purchase ‘Add-On’ modules to increase the bench desk to the size required. See below diagram. More affordable – sharing components brings manufacturing costs down. 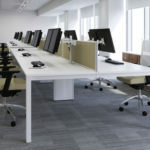 Better cable management options – standard bench desks incorporate cable towers, cable access ports and cable trays. For a little extra you can also have sliding tops or desktop sockets. Simple yet practical. 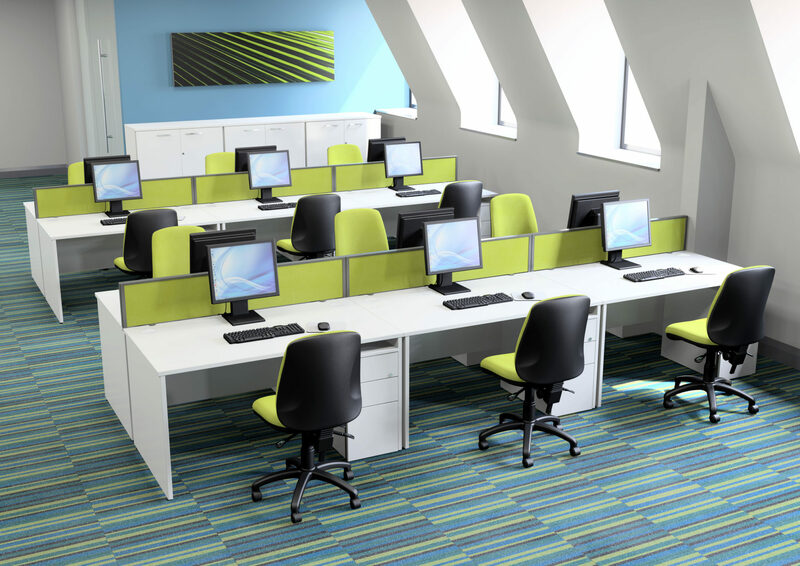 They can be configured in the same way as a bench desk system or be stand alone depending on what you need. Break up the linear lines with a wave desk. Similar to a radial desk but more compact. The wave offers a wider work area where a computer/laptop can be placed and narrower for paperwork. The orientation will largely dependent on whether the user is left or right handed. They can be stand alone or placed together to form a cluster. 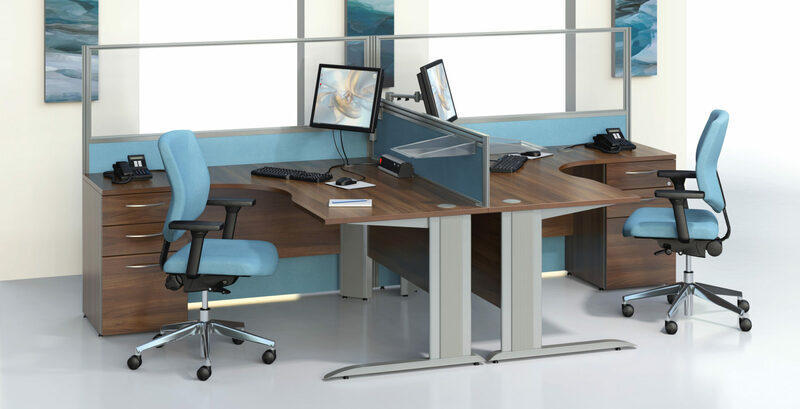 This is a desk most commonly used in offices as it has a return part to the desk that enables you to extend the work space area and utilises corners of rooms. Depending on your preference these desks can either be left handed or right handed. They can be stand alone or placed together to form a cluster. A more unusual shape for clusters of 3 or 6. 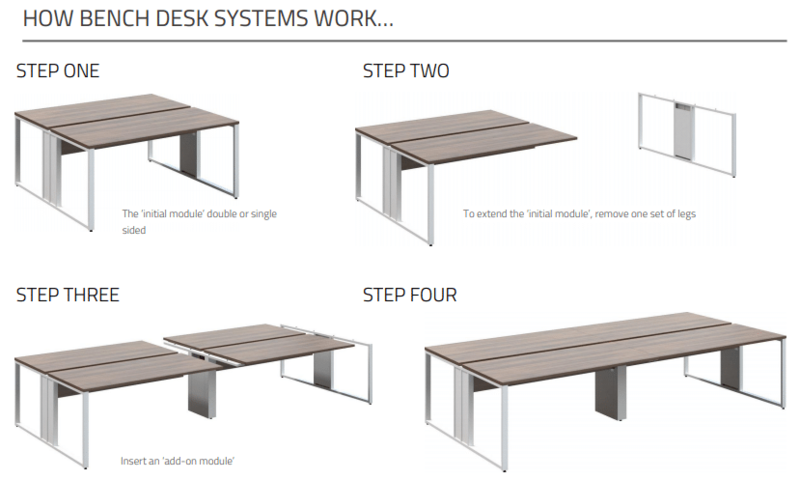 The main difference between a bench desk system and traditional freestanding desks is the simple fact that bench desks share the same structure making it easier and cheaper to add modules as and when required. However, they can be limiting when it comes to the configuration of the desks, where corner or 120° desk would offer more flexibility depending on the shape and size of the room. Here at Pure Office Solutions we have in-house space planning experts ready and waiting to help you make full use of all the available space.